The Disney Channel has culled up second season of Jonas, the comedy series starring Nick, Joe and Kevin Jonas, the Network declared Monday. “We couldn’t ask for a more collaborative or creative partnership than we have with the Jonas Brothers — and the success of our first season of Jonas speaks for itself,” said President of Entertainment Gary Marsh in a statement. According to the announcement, the show will add Lester Lewis (The Office) and Paul Hoen (The Cheetah Girls One World) to the producing team. In its first season, the show was ranked No. 1 among kids and tweens, averaging 3.4 million viewers. 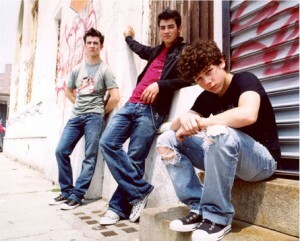 Jonas will return to production in February for a mid-2010 debut.